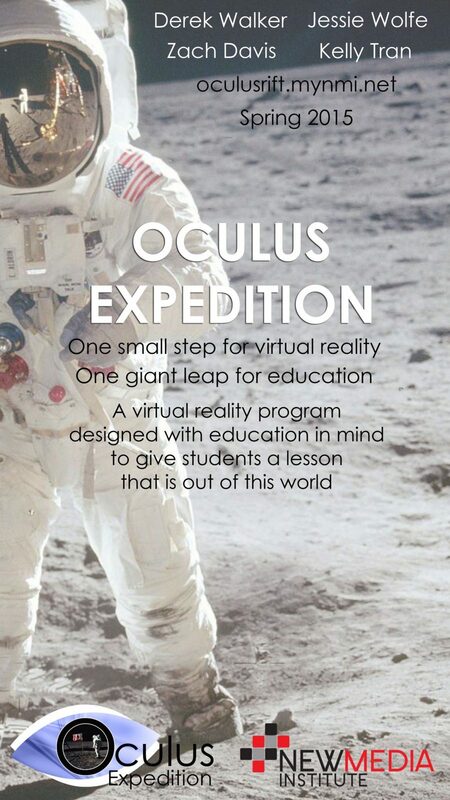 The Oculus Expedition is an educational application that can be used with the Oculus Development Kit 2 to give users an entirely immersive experience in the solar system. Designed by a team of four students from the New Media Institute at the University of Georgia, the Oculus Expedition began as a way to merge the fields of virtual reality and education. With the desire to allow users to travel to places they have never been before, the Oculus team brought forth an application that brings users one step closer to the planets in the solar system. Once the headset is on, users will be able to explore the solar system and learn facts about the planets as well as explore the terrain of the moon. With the success of the Oculus Expedition, the Oculus team hopes to create an innovative way to keep education on the forefront of technological advancement.